As more companies go digital, industry players are developing their capabilities to keep up with market demands. With guidance from a Business Advisor at SME Centre@NorthWest, Excel Hardware enhanced their business processes with technology and e-commerce solutions. Open your kitchen cabinets and chances are, the hinges, wire racks and storage compartments could be made by homegrown supplier Excel Hardware. Well-known in the interior design industry today, the hardware company has come a long way. From selling just 50 products when it started two decades ago, it now offers more than 12,000 products and services – from interior fittings to architectural hardware – to almost 2,000 customers. But growth also comes with challenges. The warehouse system it previously used was not equipped to handle surges in demand. Without proper inventory management, problems such as stock wastage and inefficient use of storage space also arose. “We faced issues like delayed payments, a lag in inventories checks and low customer satisfaction level,” said marketing director Kaden Choa, whose father set up the business in 1998. Determined to resolve their operational issues, Excel Hardware approached the SME Centre@NorthWest for advice. Supported by Enterprise Singapore, the network of 12 SME Centres islandwide offers advisory services to help businesses start, transform and grow. “We were also hoping to understand the type of funding support available for developing an online platform,” added Kaden, as the company was looking to set up an e-commerce site. After a comprehensive assessment, the Centre’s business advisor identified how the company could enhance its business processes and improve productivity, with the support from the Capability Development Grant (CDG). CDG defrays up to 70% of costs in areas such as improving financial management capabilities, product development and technology adoption. Excel Hardware had an early online presence. 12 years ago, it was among the first in the industry to set up a website with an online catalogue for customers to browse easily. Today, it has gone a step further by setting up an e-commerce site. With an e-commerce platform that is targeted at interior designers, clients can now directly place orders and pay through the website. “We try to attract more customers to go online by giving better discounts when payment is done strictly online – so we do not need to handle cash, cheques or debtors,” said Kaden. The site has been a hit, with online sales jumping close to 460 per cent in 2017, compared to the year before. Currently, only 10 per cent of their customers do so, but the numbers are growing quickly. The online platform has helped the company reach overseas customers. Excel’s first overseas order was received less than a month after the site was launched, and its products are now distributed to countries such as Korea, Madagascar and Venezuela. Moving forward, the company has plans to bring more customers to their online platform through an unmanned 24-hour showroom which will be ready by the end of 2018. Prospective buyers can browse the catalogue in person and scan a quick response (QR) code on their smartphones to purchase the products online. The company’s success, however, has led to copycats in the market. “Excel has faced an influx of fake Excel products in the market at this moment which is causing confusion among our customers,” said Kaden. To counter this, Excel Hardware aims to distinguish themselves by creating a distinctive brand as a manufacturer of kitchen fitting solutions in both domestic and regional markets. The company also plans to work with Enterprise Singapore to explore ways to enhance the enforcement and protection of their intellectual property (IP). 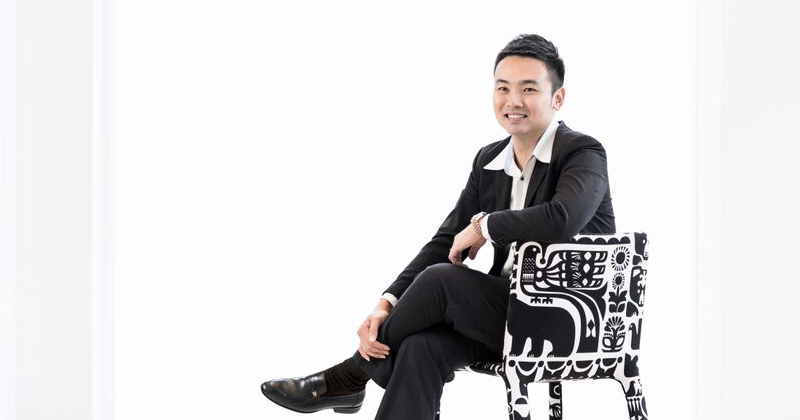 “Over the past decade, SPRING and IE Singapore have helped us a lot. Now that they've merged to become Enterprise Singapore, we will also continue to work closely with them for business growth and expansion,” he added.